A Year in the life of an entrepreneur - It's Not Just Business, It's Personal! As a coach for many small business owners, I thought writing about my own experience as a business owner might prove to be fun and interesting. (Maybe taking a page from Julie and Julia). My first post is a peek into the process of re-branding; going from "Life Coach for anyone" to Business and Relationship Coach for those dealing with blurred lines between Business and Personal. I've been a life coach for over 5 years. I was drawn to this work because my sister was a coaching instructor and thought I'd make a good coach! After one class I was hooked. I love helping people feel empowered and in charge of their own life. Over time and with additional training, I found that more and more of my clients were small business owners, entrepreneurs working from home, managers, or those leaving corporate life for a shot at their own chance to be boss. The biggest issues for them was not the nuts and bolts of running a business, but the personal identity, work/life balance, overcoming their own saboteurs, and interpersonal relationship issues so many of us deal with. People are dealing with stressful situations in their work or personal life and it's bleeding over into all parts of their life. Sometimes the stress comes from workload, outside pressures, financial worries, bad habits, or big decisions to make. Other times it's more "drama" related- personality conflicts, relationship toxins, not feeling heard or able to speak from the heart. I've become a bit of a conversation coach helping clients develop their voice and how their want to communicate with potential clients, business partners, family, bosses, employees, and so on. Along the way I've become a Peoplemap trainer and I use this wonderful and very quick assessment tool to help people understand themselves and others better. It helps identify personal strengths, Achilles heels (yes, we all have them), how to become a more effective leader and business owner, and how to improve your communication skills. I did some soul searching and thought about the kinds of clients I really wanted to build my business around. I really want to affect change in the area of inter-personal relationships and small business. I want to help people feel empowered; like they can create their world on their terms and deal with all the important people in their lives in an authentic way. So there you have it. A niche is born. I'll be honing it more throughout the year, but for now it is this: Home-based Entrepreneurs, Small Business owners and their teams, Family-run businesses, and couples who work together. They are individuals, couples, families and teams who want a successful business AND better communication, who want to find their voice and express themselves personally and professionally in an authentic way, and strike a successful balance between business and personal. It's not just Business, it's Personal!! Monica came to the field of coaching and consulting after pursuing diverse jobs in teaching, business, and healthcare while also raising her family. When Monica took a coaching class in 2006, it started a new chapter in her life. Monica took her years of experience and passion for helping others and combined it with a career that allows her to empower others. 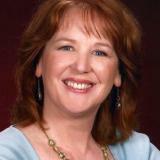 After training and certification in Life Coaching, Monica continued her studies in Organization and Relationship Systems Coaching, giving her the understanding, tools and experience to handle the sensitive, emotional, and deeply satisfying work of relationship building for personal and professional relationships. In 2011 Monica became certified as a coach and trainer with Peoplemap™ System of personality, leadership and conflict resolution assessments and tools. This helps her clients understand themselves and others better, and facilitates team building and the ability to communicate effectively and skillfully with others. Monica continues to learn new tools and concepts in order to empower her clients, including the work of David Emerald (The Power of TED), John Gottman, PhD, Wayne Dyer, and Byron Katie. Monica works with individuals, couples, and teams as a coach, a small business consultant, and a facilitator of personal and professional growth. Through one-on-one coaching, presentations, and workshops, Monica helps people create a master plan full of personalized goals, strategies, winning perspectives and the inner strength to take the challenging or more rewarding route, and to master the tough conversations. She has a passion to motivate her clients to see beyond the ordinary or expected, and to pursue all the possibilities without fear or doubt. She acts as their accountability partner and works side-by-side as an equal partner, ready to coach and challenge her clients to excel and succeed. Monica’s primary clients are emerging entrepreneurs, executives, and work teams who are stressed, stuck, dealing with conflict, or trying to create something better in their future. From coaching they find clarity of purpose, confidence in their abilities, improved communication, personal awareness and growth, and professional satisfaction. Over the course of her adult life, Monica has spent more than 20 years as an active volunteer and board member of a community service organization, earning the Trumbull, CT Humanitarian of the Year award in 2004 for her leadership and passion for conservation. Monica is an avid photographer in her spare time, as well as wife, mother and very young grandmother living in Shelton, CT.